Last week, Bandai Namco started teasing a new role-playing game which seemed to have been influenced by the Dark Souls series. Today, the Japanese publisher revealed more on this upcoming title through the latest issue of Famitsu. The new game from Bandai Namco will be called Code Vein, and it’s currently in development by the God Eater team. The game, however, will not have any connection with the franchise, as the team wants to keep the two franchises separate to offer a new gaming experience. Code Vein, which is being made with Unreal Engine 4, has been described as a dramatic dungeon-exploring dungeon RPG, with a strong sense of accomplishment setting it apart from similar games. Players will also be assisted by a companion, which will make the experience less frustrating. 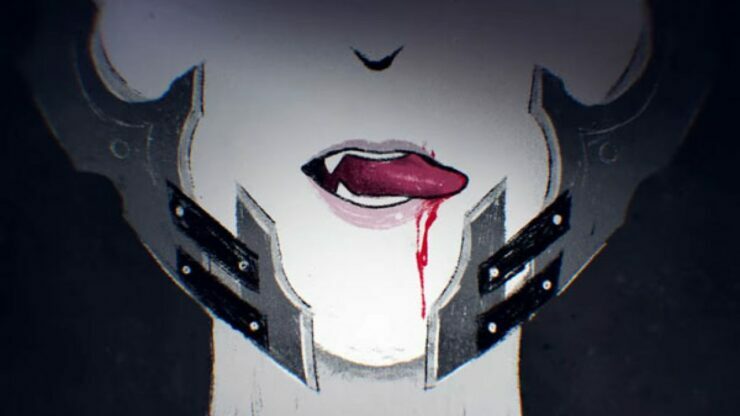 While the game will only be fully revealed later this month, we do know that Bandai Namco wants to release Code Vein in all regions. Platforms have yet to be confirmed as well, but the game is definitely coming to consoles. With the latest entries of the God Eater series also coming to PC, it wouldn’t be surprising to see a Steam release as well. Code Vein is slated for a 2018 release in all regions. We will keep you updated on this new action RPG by Bandai Namco as soon as more comes in on it, so stay tuned for all the latest news.